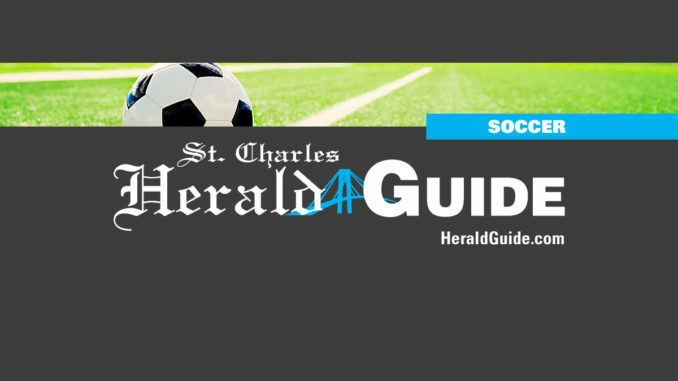 The Hahnville High School boys and girls soccer teams continued to cruise past district competition last week by both beating John Ehret 6-0. The Lady Tigers took a 5-0 lead at halftime behind two goals from both Jessica St. Pierre and Amye Barre. Grayson Touchard also found the back of the net in the first half. Though Hahnville took their foot off the gas pedal in the second half, the Lady Tigers still managed a score behind a goal from Destiny Louviere. With the win, the Lady Tigers are now 5-0 in district play. The Hahnville boys had multiple chances in the first half against John Ehret, but the Tigers managed to take only a 1-0 lead into the break. A steal by Julius Medina led to the score, with Medina passing the ball up field to Reid Gautreaux who found the back of the net. The Tigers came out strong in the second, with Johnathan Schmaltz working the ball into John Ehret’s side of the field and taking a shot. Though he missed, the ball rebounded to Bryan Bennet, who finished the score to put the Tigers up 2-0. Bennet later came through with an assist to Gautreaux to give Hahnville a 3-0 advantage. Because of great defensive play by Julius and Sergio Medina along with Bailey Breaux and goalie Mason Boyer, John Ehret never got a chance to get back into the game. But Hahnville continued the attack with a steal by Craig Ford, who passed the ball to freshman Coby Orgeron. Orgeron took the ball into the box and finished with the team’s fourth score. Hahnville sophomore Chase Ledet then dribbled the ball up the left side of the field and crossed to Dillan Ryals, who found the back of the net to give the Tigers a 5-0 lead. The final goal was setup by a steal from Kyle Salles, who passed the ball to Mitchell Eilers. Eilers worked the ball down the line and then crossed it to senior Dillon Dufrene for the goal.